Home / Stock Picks / Hot Stocks / Nike Stock Is Back on Solid Ground, But Is It Worth Buying? Nike Stock Is Back on Solid Ground, But Is It Worth Buying? It’s been a turbulent year for Nike (NYSE:NKE) stock after the firm found itself in the spotlight following a polarizing ad campaign. However, after a high-profile sneaker malfunction failed to drag Nike stock lower in February, it looks like the firm is back on solid footing. Now many are wondering if Nike stock will climb further or if they should wait for another pullback before buying shares. In February, college basketball player Zion Williamson was forced to leave the court during a game after his Nike sneaker came apart. The incident initially took Nike stock marginally lower, but investors kept a level head and NKE stock made it through the week relatively unscathed. Many were expecting Nike stock to suffer a significant pullback following the sneaker incident, particularly since the stock market has been extremely jittery recently. However, traders kept a level head regarding the incident, and NKE stock did not dip meaningfully. On the bright side, the fact that Nike stock did not suffer a major selloff suggests the jittery market could be starting to settle down. On the other hand, investors didn’t get the opportunity to buy NKE stock on a dip, which begs the question; Should investors buy Nike stock right now? Part of the reason investors want to own Nike stock is the fact that, despite multiple challenges over the past decade, NKE has maintained its place as top dog in the athletic-wear industry. Nike has managed to position itself as a premium brand, giving NKE pricing power and allowing it to grow its apparel and footwear businesses throughout the world. The firm’s large size and huge geographic reach have been a security blanket for investors because these advantages will prevent the company from being flattened by a slowdown in a single category or market. Moving forward, NKE is making a big bet on the women’s athletic-wear market by supporting 14 national teams in the FIFA Women’s World Cup over the summer. Nike is designing new team uniforms, and plans to unveil a new line of innovative womenswear inspired by the World Cup apparel. In addition to marketing clothing inspired by the Nike-sponsored World Cup apparel, NKE is also planning to unveil a high-tech-sports bra this summer. The firm’s upcoming ad campaign will focus on women and feature female athletes, including tennis star Serena Williams. Nike’s decision to focus on womenswear is no accident; the firm has been under scrutiny recently after several of its top executives left the company, due to issues with its corporate culture. In a New York Times article, current and former employees alleged that the firm has issues with sexism and gender discrimination. Those allegations cast the company in an unflattering light. Rumors about sexism at NKE are bad for its business, especially considering that women drive between 70% and 80% of overall consumer purchasing. That’s because, in addition to making their own purchases, women also influence the purchases of others in their household. Essentially, if consumer-product makers don’t appeal to women, they’re sunk. Compared to its peers like Under Armour (NYSE:UAA) and Lululemon (NASDAQ:LULU), Nike stock is relatively cheap, trading at 27.5 times analysts’ consensus 2019 profit estimate. Of course, Nike’s growth isn’t expected to be as strong as that of number of its smaller rivals, but Nike stock does have a 1% dividend yield. As athletic retailers go, Nike stock isn’t a bad bet; NKE appears to have a stable future, especially now that the market’s jitters are calming. If you own Nike stock already, I wouldn’t rush to sell it. However, I wouldn’t rush to buy NKE stock, either. The bottom line is that retail is a low-margin, fickle business that’s heavily dependent on the economy. Unless NKE stock drops significantly, I’d avoid it simply because there are better picks out there in much more promising industries. I’d consider buying Nike stock if bad news takes the shares significantly lower, but until then, it doesn’t offer enough upside to make it worth buying. As of this writing, Laura Hoy did not hold a position in any of the aforementioned securities. 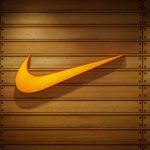 Article printed from InvestorPlace Media, https://investorplace.com/2019/03/nike-stock-is-back-on-solid-ground-but-is-it-worth-buying/.